It is over a month since I returned from the Cycling Embassy of Great Britain study tour in the company of David Hembrow. I have referred to this tour quite a lot here already, but there are some major points that I took from it that I have not covered, and, in the light of a suddenly increased interest in the UK as to what "Going Dutch" could and should mean, I think it is a good idea to go into these. The tour was very enjoyable as well as enlightening, and I hugely recommend anyone who has the slightest concern with developing cycling in any country other than the Netherlands to follow in our footsteps, and get over to Assen to do it. The Embassy hopes to put together another group to go next September, so start thinking about it. Or, if you want to go at any other time, David Hembrow will try to oblige. For those "real cyclists" amongst you, don't imagine that "study tour" like this is all cerebral and nerdy. Well, it was a bit cerebral and nerdy, with plenty of photographing of bollards and videoing of traffic light sequences, but it was also physically enjoyable. Cycling 70 km in a day on a solid three-speed sit-up and beg Dutch bike with all the accessories was something the like of which I had done for a long time, and it was fantastic. Perhaps the highlight for me was the dynamo-illuminated night ride on cycle paths back from Groningen to Assen on the last day, which some of our party foolishly absented themselves from, by wimping out and taking the train! Taking the train with a bike in the Netherlands is extremely easy, and so always a temptation. I can't blame them. How did the trip affect my views on providing for cycling? Well, the trip did not change my views in any major way, but it cemented and developed them. I had already understood the elements of Dutch cycle policy and infrastructure provision from reading A view from the cycle path, other websites, and talking and corresponding with others who had spent time cycling there. But there really is no substitute for experiencing it yourself. The cycling environment is so utterly different from what we have in the UK that we really cannot imagine it from this side of the North Sea. It is hard to adequately describe. It has to be felt, seen, and experienced. The scale, quality, ambition and complex diversity of the system developed to allow average people to cycle safely, comfortably and conveniently to anywhere they need to go in the whole country is beyond what I would have guessed, and beyond what any of us expected. There were some situations where I thought I knew what the Dutch solution was, but what I found was that there was far more diversity in the solutions as used in different places than I expected. There are many possible ways in which cycle space can be arranged in towns and countryside, and I found that there are often several Dutch solutions to the same question. The Dutch have experimented constantly with cycle provision. So you don't find consistency, but do do find a large range of possible solutions to problems. Whatever the traffic or infrastructure problem is, that is hindering cycling, there is a Dutch solution, and, usually, a choice of solutions. One point about which my opinions needed revising were give-ways, and the significance of them. Having gone around for a long time telling people in the UK that Dutch cycle tracks have priority over roads that they cross, if the junctions are not signalised, I found that often this is not the case. There are quite a lot of give-ways on Dutch cycle tracks and paths. Not in the way we have in the UK, where you get shared-pavement cycle routes with stupid give-ways at driveways and minor side turnings – Dutch cycle tracks always have priority over minor roads. 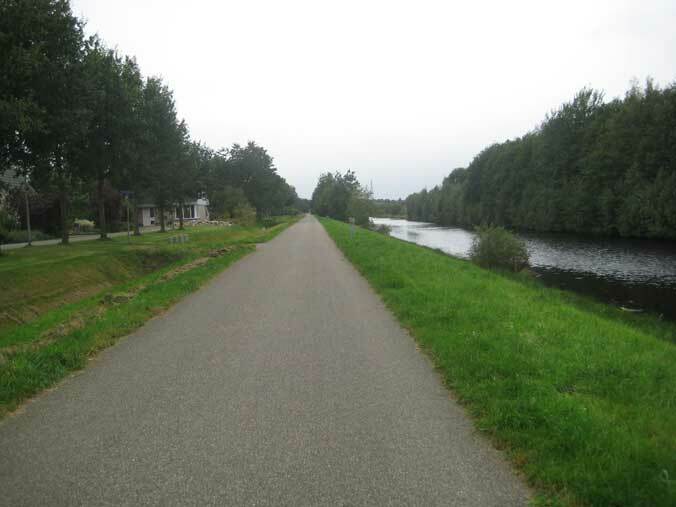 But the Dutch paths, particularly when not adjacent to roads (i.e. when tending towards the suburban or rural cycle path model rather than the urban cycle track model) do often give way when crossing major roads, as minor roads would do, and they sometimes give way to the arms of roundabouts when encircling them. However, I discovered that in practice this is not a problem, for in an environment where motor traffic is so much lower on major roads than it is in the UK, you are not delayed much by these give-ways. They are not frequent. In addition, many drivers give way when not legally required, and a linked factor is junction and roundabout design, which tends to give motorists tighter corners than in the UK, which slows them just before many of these give-ways on cycle paths are encountered. Where cycle paths encounter very major roads with a lot of traffic on them, there are signals, or the path blithely continues on its way through a tunnel or over a bridge. Problem solved. Before I went, perhaps I expected the achievement of the good cycling conditions in the Netherlands to be more about priorities and the law and codes of behaviour and enforcement, about what various road-users can and can't do, than it turned out to be. (Matthew Wright, writing on the Guardian's cycle blog, articulated this mistaken view recently.) But it turns out it's far more about the design of the roads, tracks and paths than about making road users behave correctly. There is actually a fair amount of chaos in how various road users behave, as there is anywhere, but the Dutch principle of "sustainable safety" has led them to design out the most dangerous conflicts. They have simply designed the environment so that it is hard for road-users to make mistakes, and the mistakes they can make are likely to be less dangerous ones. There is a noticeable difference in approach compared to Germany, where I have also studied high-cycling towns. There, there is more freedom allowed by design, but more restraint expected though law-abiding behaviour. The German system of allowing cyclists on a cycle track to pass though a junction on a green light that is simultaneous with the green for cars on the adjacent carriageway gives cyclists on the track a high degree of priority, but their safety depends on drivers obeying the rule that they must not turn across the cyclists' path. The Dutch, on the other hand, not trusting drivers to behave in this way, completely separate the green phases for cars and bikes. However their traffic-light phasing still minimises delays to cyclists. 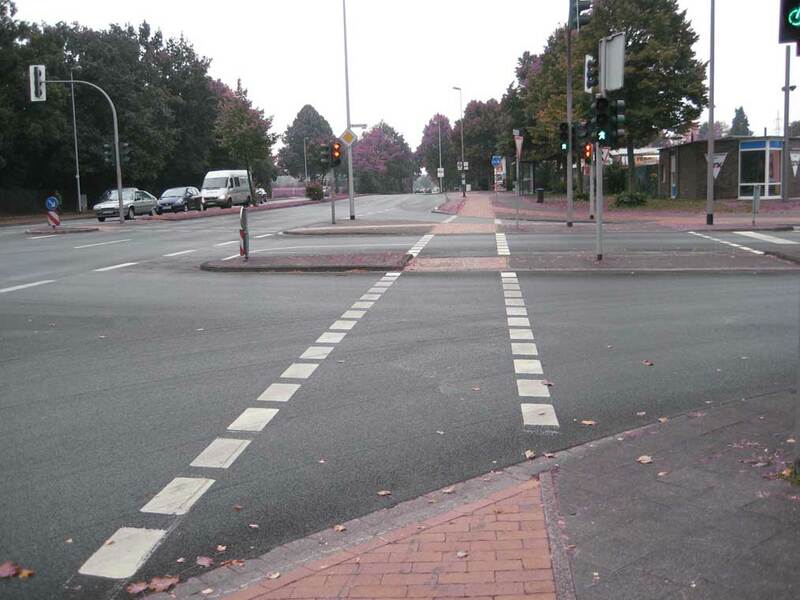 The Germans sometimes implement high-quality cycle tracks as well, but their junction principles are different. Münster, Germany. I tended, before I went, to buy the line that is often believed in the UK that because only 10% of the roads in the Netherlands have segregated cycling on them, there is still a lot of interaction between cyclists with motor vehicles on all the other roads, but that this is safer because of good behaviour from the motorists in an environment where "everybody cycles". In fact that 10% statistic is highly misleading. Its implication is, in UK cyclists' minds, that 90% of the time you are sharing space with motor vehicles. But this is not so for several reasons. Firstly, the roads where you do have segregation are the long ones, the important ones, and the ones on which you spend most time cycling. They are the critical "backbone" routes. Secondly, at least in the towns we visited, you spend a lot of your time cycling on totally separate cycle paths that are unrelated to the road network. Thirdly, you encounter few motor vehicles on the unsegregated roads. So, with this combination of factors, you find that the separation of cyclists from motorists in the Netherlands is astonishingly complete. Cyclists rarely have to "negotiate" with motorists in the UK vehicular cycling sense. We did find places where they did, have to, kind of, particularly in the busier Groningen, as opposed to smaller, quieter Assen, but these places were exceptional. So, with this degree of separation, it is not necessarily for motorists to be remarkably well-behaved towards cyclists for cycling to feel very safe. One should bear in mind that a large part of the unsegregated 90% of roads are the narrow residential streets and cul-de-sacs that are irrelevant to transport (except for the few minutes you spend riding on them to leave or return to your home or other destination on them). One should not confuse traffic-calmed or traffic-restricted areas in the residential "Home Zone" or Dutch Woonerf sense with the cycle routes used for transport. They are separate, as they must be. The last thing you want in a Home Zone, where children should be paying in the street, is commuting cyclists rushing through it. This is a frequently-misunderstood point in the UK. Even in the most cycle-friendly countries such as the Netherlands, most urban streets simply have a 30kmh limit, perhaps with some nicely-designed traffic calming, and no cycle-specific provision whatsoever. 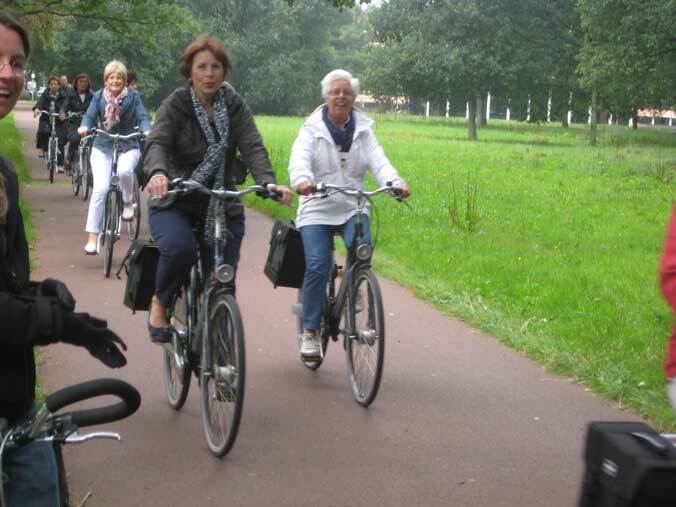 In reducing the Dutch approach to being mainly about paths, LCC is misrepresenting it. Their campaigns for a 20mph speed limit (widespread in the Netherlands), and the crucial issue of strict liability would make a more sensible centrepiece for Go Dutch. It is very difficult to give an accurate and complete picture of what the Dutch cycling environment is like to those cyclists in the UK who have not experienced it. So again, I do encourage them earnestly to come and see for themselves. The trouble is that the context, the background of what we are working with, is so different. When you have spent 40 years implementing Dutch policies, which have led to so many more bike journeys and so many less car, bus, train and taxis journeys, everything in the landscape is transformed, and nothing seems directly comparable with what you see in the UK. 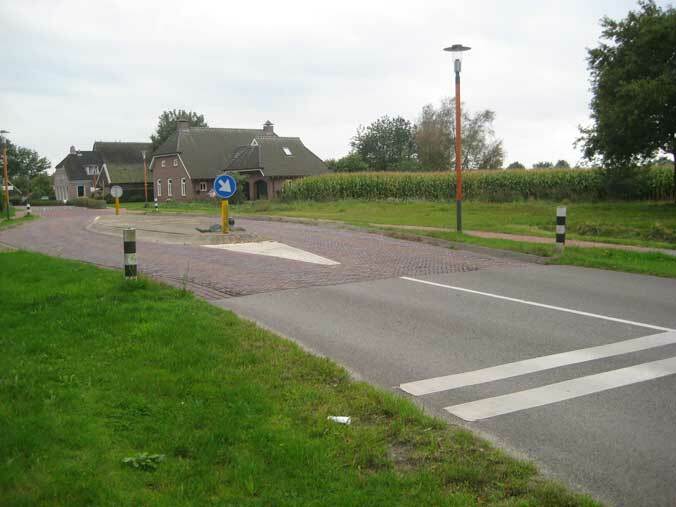 When we sent back pictures of what it was like cycling on a main road linking Assen with an adjacent village, a correspondent in England, well-known cycle campaigner, kept arguing that we were not showing something that had relevance. "That's not a distributor road" he said. "Go somewhere busier and take a photo". He thought we had found some traffic-free country lane leading nowhere to show him and hold up a false comparison with main roads linking towns and villages in the UK. But it was a true comparison. Analogous roads in the Netherlands and the UK, having exactly the same function, and linking settlements of comparable populations, look totally different. That 40 years of prioritising the bike has changed everything, and those who have spent their whole lives campaigning for change in the UK, with only very limited success, just cannot, without seeing it, imagine the Dutch environment, and understand how it has been achieved. Likewise, many campaigners who cycle on busy roads in London and other UK cities just cannot imagine how their roads could be transformed if Dutch policies were to be implemented. They see problems everywhere: lack of space, competing demands from parking, buses, taxis, deliveries, pedestrians. "What can you possibly do here?" they often ask, in a despairing tone". But there is a huge range of Dutch solutions, as I have said, and implementing them widely through a city changes the whole background context, and makes things possible in "difficult" places that could not have been imagined before. Suddenly you don't need to find all that space for parking and for buses and other motor vehicles, and you can start improving the "difficult" streets. But you can't change everything at once, and it is important to realise how the Dutch got to where they are now. They started by doing the easy things, and that is what we will have to do in the UK. They then kept working on it and improving things, little by little. As David Hembrow always says, you just have to start, and then keep working on it, like the Dutch did. But you do have to start. Not so. You can get everywhere by car in the Netherlands, with fair convenience. The Dutch have fast roads, motor access to everywhere that might be needed, and plenty of inexpensive or free parking where it is needed. The Dutch seem to have fewer traffic jams than we have. An argument can be made that driving, using and owning a car in the Netherlands is actually easier than in the UK. True only to a limited extent. What is "easy cycling distance?". Everybody's mileage varies. But if you make cycling really pleasant and relaxing, people, even the unfit, may be willing to cycle surprisingly long distances. 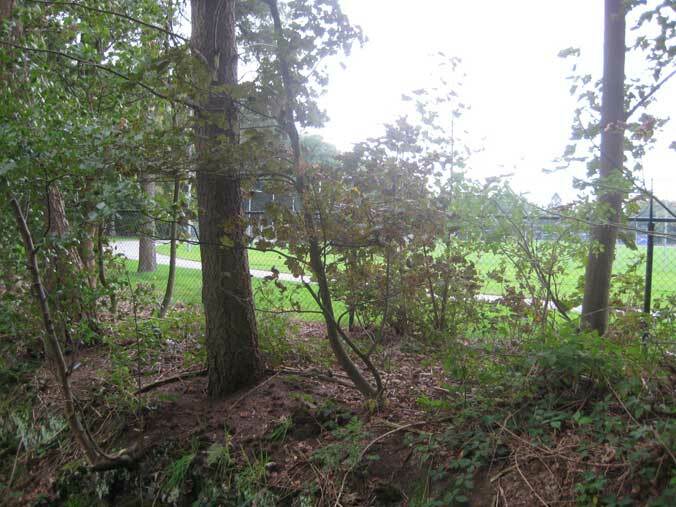 There are dense developments in the Netherlands, and there is urban sprawl. There is good planning and less ideal planning, such as you find anywhere in the UK. There is no strong relationship between cycle uptake in the Netherlands and planning characteristics of the towns, cities and suburbs. There is high cycling in some very low-density regions, and less cycling in some higher density regions that might be thought to be more amenable to bike use. The strong relationship is between cycle facility provision and cycling levels. In other words, a city or region with a high standard of infrastructure, but more need to travel, can have more cycling than a city or region with less good infrastructure, but smaller typical distances to travel. It's more related to subjective safety than distances. As in the UK, you sometimes encounter motorists behaving stupidly and selfishly. There were occasions in our travels where we encountered motorists driving at us, and we might comment on those occasions, "He didn't seem to be particularly worried about his strict liability, did he?" Dutch motorists are not all brilliantly behaved towards cyclists. The real and subjective safety of cycling in the Netherlands comes from good design, and from the general separation from motor traffic, not through having made motorists saints. Therefore the stress that is being placed on campaigning for Strict Liability now by some UK cycle organisations and commentators is a mistake. Strict Liability might be a good thing to have in the longer term, but it should not be a priority (and it is very far from general political acceptability in the UK anyway). The efforts would be far better spent on campaigning for good infrastructure, which is far closer to political achievability in the UK. The effectiveness of the infrastructure should not be seen as depending on any changes to the law. Another important pre-requisite for segregation to work is legal priority for cyclists at junctions, given that this is where around 70% of cyclists' injuries occur. In countries like Denmark and the Netherlands, if you're on a cycle track and travelling straight ahead at a junction, the law says you have clear priority over drivers turning across your path, even when the driver has a green traffic light. Apart from conflating different countries which do things differently (I have mentioned differences between the Netherlands and Germany), this is simply wrong in the Dutch context, which I believe provides the best model that we should follow. Most modern Dutch junctions use the simultaneous green for cyclists system, where all motor traffic is held at red twice in the full cycle, while all cycle movements are allowed, the cyclists turning in different directions negotiating with one another (this takes practice, which, of course Dutch cyclists get plenty of). So there is no potential conflict with motor vehicles, and no role for the law in defining priority. Again, the viability of translating infrastructure to the UK should not be seen as needing changes to our laws. Waiting for these will probably delay us for ever. The favourable position enjoyed by cyclists in Dutch law followed the establishment of the infrastructure-based mass cycling culture, came as a political consequence of it. That was the way round it happened. When you have created such good conditions for cycling as the Dutch have, and cycling becomes normal transport from kindergarten to dotage, non-utility cycling also mushrooms and blossoms in every conceivable direction. Far from there being a lack of "enthusiast" or "sports" cycling in the Netherlands, the country is full of racing cyclists, time-trialists, Audaxers, long and short distance touring cyclists, leisure and enthusiast cyclists of every description, even, would you believe it, mountain bikers (there are specially constructed rough and muddy mountain biking courses, to make up for the lack of true mountains, or even hills). Every town of consequence has a racing bike track (far from the case in the UK), and you see all these breeds of leisure and sports cyclist far more frequently than you do in the UK. While the vast mass of cyclists is not really that interested in their bikes, as they are not enthusiasts, merely people using a machine, that they have limited understanding of, as a tool for transportation, this mass is in addition to the enthusiast cadre, which is itself much larger than in less favourable cycling countries. And another thing, another huge misunderstanding: cycling in the Netherlands is fast. As fast as you want it to be. Cycling through Dutch towns on cycle infrastructure is much faster than cycling through British towns on roads, because of the junction priorities, the planning that has reduced the frequency of junctions (in old urban areas achieved through closing many of them), the "clear space for cycling", the lack of obstructions and hazards to watch out for all the time, the separation from traffic, and the quality of the surfaces. A critical point, never commented on in the UK: unless you separate cyclists totally from heavy motor vehicles, you can never have decent smooth surfaces for cycling on, because the heavy vehicles will always mess the surfaces up faster than it is economic to repair them. Segregated cycle tracks and paths can have perfect surfaces: they are indeed the only economical way perfect surfaces can be achieved. And that means speed, as well as safety. In the countryside, unrestricted by frequent junctions, the cycle paths allow cycling at any speed you want. Joe, in our party did indeed attempt to attain 40km/h on the cycle path, on the flat (well, everywhere is flat), but narrowly failed, saying it was because the rest of us were in the way. So if you want to, you can cycle very fast in the Netherlands. But of course most people don't wish to. The fact that you don't need to cycle fast or assertively to be safe, or to make the mode work for you, to benefit your life, is key to the universality of Dutch cycling – the fact that you cycle at the speed you want, that there is no pressure. It's the reason so many Dutch people go on cycling into their seventies, eighties and nineties. Despite the health benefits of cycling, we all have to die some where, some time, and many Dutch people literally drop dead on a bike – one reason to be very cautious about the meaning of cycling fatality figures compared between the Netherlands and other countries. People commonly die on bikes, or after falling off them, with no involvement of other traffic. An old person suffering a low-speed fall from a bike is much more likely to die as a consequence than is a young person. But this kind of cycling fatality, though sad, is an indication of success of Dutch cycling policy, not failure. I am glad that I now understand far better how the Dutch achieved the highest cycling rate and the safest cycling in the world. I hope these posts help in the understanding of this in the UK other countries. For understanding is the start of change, and though change takes time, and can be difficult, if it proceeds through accurate understanding, it is easer. Let's get to work. Reading your piece you'd think if only cycle campaigners argued for Dutch-style infrastructure we'd get it. The CTC isn't the enemy. Motor-dependency is the enemy. Local and national politicians in thrall to motorists and Big Oil should be your target, not fellow cyclists. Transport engineers with windscreen perspectives on the world need to be taken to the Netherlands. It's pretty safe to say that cyclists know cycling conditions in the Netherlands are rather good. CTC and other cycle campaigners work damn hard to create good conditions for cyclists, they're not the ones pandering to motor-dependency. Your argument that death stats in the Netherlands involve a lot of people just keeling over from heart attacks could be just as easily applied here. A high-profile case happened just recently. Do some research: check out the number of Dutch cyclists killed by HGVs. It happens. Let's get to work indeed. I believe it is essential that this point is repeated over and over again: with a great infrastructure, cycling is for EVERYONE, from 6 to death, athlete to less able. THIS is what we need, and must ask for. Anything short of that is a failure, in my opinion. Maybe the LCC or CEoGB could take a few UK politicians to the NL for a quick trip, so they see how easy and pleasant it is? I'd send Ken Livingstone and Boris Johnson because clearly one of them will be Mayor of London next year, Eric Pickles so he sees we do not need rubber knickers, and Jenny Jones because she's lovely and would greatly enjoy it. If a kitty is set up I'll contribute! I have never ridden a bicycle in the Netherlands, I am sorry to say, so I am in no position to comment on how the infrastructure works, or how it feels, but I have clocked up a fair mileage draving a car on business there. So I agree that it is not at all difficult to drive or park there. Away from the motorway routes, the roads are not particularly fast and they pass through lots of small settlements but they can hardly be described as slow, with speed limits of 60 or 80kph out of town and of course 30 in town, but very little congestion so good progress can still be made. They also have far better road surfaces than we do, with the use of porous asphalt on motorways (to reduce noise and water spray) being the norm rather than the exception. This should be considered in the context of just what a congested country the Netherlands is: a population of 18m crammed into an area the size of Wales, if that, so population per square km is much higher than ours, and even in rural areas you can expect to pass a house every couple of hundred metres and a village every km. As for driver behaviour towards cyclists, I can't comment about the Dutch in their own country but I have cycle-toured in the Bastide town area of the Dordogne in France (La Roque Gageac, Sarlat, etc). In high summer this can feel a bit like Little Holland, with every other car which passes you having Dutch plates. They are not aggressive, but - perhaps because they are not really used to mixing with bikes on primary routes - they can be quite inattentive whereas the French tend to be more careful and leave a wider berth or wait patiently for the oncoming side of the road to be clear to pass. Paul: Instead of the emotive language about what a congested country you think the Netherlands is, and your spurious comparison with Wales, why not make the more obvious comparison between the density of England with that of the Netherlands ? They're virtually the same. England has 395 people per square km while the Netherlands has 402 people per square km. In any case, cycling rates have nothing at all to do with population density. As for the slight about your experience of Dutch drivers in France - that's not really deserving of much of a reply. I will merely point out that conditions for cycling in France are such that the French cycle barely more than the British do and only a tenth as much as the Dutch. If they had the infrastructure of the Netherlands there is a good chance they'd find cycling more agreeable. Oh Christ on a bike David! What makes you think my personal observation of the Dutch abroad is a "slight"? It may not accord with what you experience at home but it accords with what I experienced in France. I was not intending to sugest that France is some form of cycling Nirvana, any more than the UK is. Ok, so I managed to overestimate the population of the Netherlands by a massive 7.57% - it was a fair stab even if not quite accurate. You have also been highly selective in your population density comparison. If you read the Wikipedia entry more carefully, you will find that the denisty of metropolitan Netherlands is actually 491/sqkm - you only get to 403 by including three caribbean islands in the tally. So the Netherlands is 25% more densely populated than England is - my comparison was clearly not as accurate as it could have been but it wasn't intended to be a treatise on geography. You need to lighten up. I consider myself a cycling advocate and campaigner in a modest way, primarily in the City of London where I work and SW Surrey where I live. I am not trying to contradict you or put you down or diminish your aguments, but sometimes I do feel that the "Go Dutch" school of cycle campaigning (which I 90% support) behaves more like the Society of Jesus than an advocacy group - the smallest departure from the doctrine is heresy, heresy is simply not tolerated. On that basis, there is little hope of us moving anywhere near the Dutch standards in this country - we can so easily dismised as a bunch of cranks, not because of what we believe, but because we appear to believe that this belief is the only true faith. Hahahahaha. Yeah, no. I'm a cyclist here in France and I can tell you drivers are jerks, just like in the UK (or some of the Dutch people who insist on driving into hypercentres, really). I do agree with Paul M that it is important for cycle advocates in the UK not to seem "evangelical" in an insistence on universal applicability of Dutch solutions. I do think that, although we definitely need to learn a lot from the Dutch, and Danes, the best solutions for cycling in the UK will be in some respects different, or the emphases will be different. The different physical character of the country dictates this, as well as history and traditions. I do however agree with David Hembrow that discussions on population density are peripheral to the problem, at best. People go all over the place in their arguments on this. Some claim that you need very high population densities to make bike journeys short enough to be practical: they haven't looked at the way long-distance cycling has been facilitated in many places in Europe. Others go the other way and say that the problem with UK towns is that the density is too high so we can't fit cycle facilities in! You get similar contradictory arguments over "wealth". Some argue that the UK and US are too wealthy to have mass cycling, because everybody can afford cars. Then others (or the same people at other times) argue that these same countries can't afford cycling infrastructure, and that the Dutch only managed it because they are such a wealthy nation! In reality, I think we can see sufficient examples of high-cycling towns and regions in Europe and North America that are so different in their characteristics that it is clear there is no correlation between cycling and either density or wealth: the differences between high-cycling and low cycling places are only in public policy. Paul, your use of words like "belief" and "faith" make it seems as if we have no history or evidence to work from. The Dutch have an impressive ride share, the US and England do not. The Dutch did several things to encourage cycling, and the one that sticks out (that was tried in neither the US nor England) is good infrastructure. The Dutch have expensive gasoline, but so does England, by US standards. The only reason I can see for not adopting the Dutch approach in places like the UK (similar climate and density) is if you're not serious about getting more people onto bicycles. Talk is cheap. Vehicular Cycling has a track record, and it is a track record of failure; only an insane person ("repeating the same action over and over, hoping for a different result") would take that approach. At this point, it's VC that has to be tarred with the "faith-based" label. Even here in the car-happy-cheap-fueled US, where density exists, and where end-to-end-useful infrastructure exists, bicycling happens. The Minuteman Trail (connecting Bedford, Lexington, and Arlington to the Alewife transit hub on the edge of Cambridge) generates enough bicycle traffic to fill almost every bicycle parking spot at the station (about 500, compared to 2700 for autos). All that cycling is notably non-Effective; it is on a segregated path. It may be that we don't have the political ability to get large amounts of good infrastructure (this is certainly true in the US), but we can work towards it, and the Alewife example offers a guide; find a place where it can easily work (population density connected to a useful endpoint) and do it there, and do it right, meaning, plow it in the winter. Don't close it after dark. Don't cut it up with silly dismount notices. Provide safe parking in useful places. Interesting post. As a Dutch guy, I saw some recognizable things, but I also missed parts of it. I highly recommend that if you go on another discovery tour, you go to the more metropolitan areas. I grew up in The Hague, and have lived in Amsterdam. The situation in cities like these is different from rural towns like Assen and Groningen (I'm exaggerating here about these latter two). It would make your picture more complete. Dr2chase, they do indeed have an impressive record, and it is evident that we have a lot to learn from them. The points I was - rather clumsily - trying to make are in support of David's thesis, that car-hostile government policy, minimal traffic congestion, and unusually considerate drivers are not the things which get the Dutch out on their bikes (because their experience in these fields is not really any better - or worse depending on your point of view - than ours) so that doesn't really leave much else in the way of explanation apart from infrastructure. Hence we should be looking at it closely. I would dearly love to see substantial parts of Dutch thinking applied here, and I am pleased to see that there is some movement in mainstream campaigning (LCC, if not yet CTC) towards that model, but my fear is that the Dutch model can become so much an article of faith to some people - and I am convinced that some people really are ideologues in that respect - that the absolute necessity of selling our propositions to a sceptical government and public, realpolitik if you like, could be subordinated to a pursuit of some impossible purity of vision, and as a result we could fail entirely.